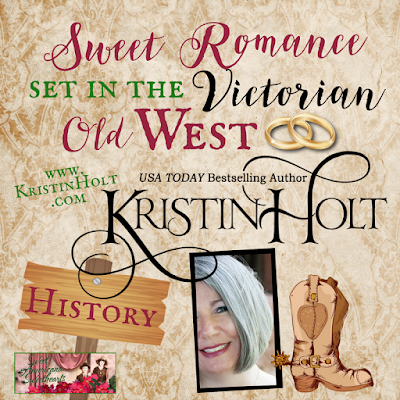 I've polled readers, several times, seeking the reasons they enjoy Sweet Western Historical Romance. Is it the cowboy heroes? Simpler times? Man-against-nature plots? A love of history? But one key reason readers report choosing Sweet Western Historical Romance is the clean language in the text of the book. Surprised? Americans live in a culture that widely tolerates vulgarity. But maybe that's why readers looking for a read without descriptive sensuality also seek reads without language they find offensive. Jackson County Banner of Brownstown, Indiana on November 7, 1878. Victorian Americans expected--and often demanded--profanity-free language. This societal norm went well beyond the "not in front of ladies" cliché, which shows up in most Western Historical fiction. Yes, ladies detested vulgarity (and profanity, and even slang) and were trained from youth to not hear what they should not hear (and to not see what they should not see). "A gentleman should never permit any phrase that approaches to an oath, to escape his lips in the presence of a lady. If any man employs a profane expression in the drawing-room, his pretentions to good-breeding are gone forever. The same reason extends to the society of men advanced in life; and he would be singularly defective in good taste, who should swear before old persons, however irreligious their own habits might be. The cause of profanity being offensive in these cases is that it denotes an entire absence of reverence and respect from the spirit of him who uses it." ~ Decorum, 1879, J.A. Ruth and Co., and Hill's Manual of Social and Business Forums, 1879; Decorum, a Practical Treatise on Etiquette and Dress of the Best American Society, reprinted in 1979 by Westvaco; pp 81-82. Beyond the finest etiquette sources of the day, common men and women were expected to moderate their language in the same way. The Eutaw Whig and Observer of Eutaw, Alabama on March 7, 1878. Sauk Co. Standard of Baraboo, Wisconsin on September 27, 1854. Was the use of profane language--in front of women and children--so widespread something actually had to be done? Apparently so. The following article appeared in Semi-Weekly Standard of Raleigh, North Carolina on March 18, 1857, wherein the writer decreed, "We don't know that the use of profane and vulgar language in our city can grow into more general use than it is at present.--There is no evil practice which is so universally practiced. The boys that play in the streets are as glib with an oath as their elders, from whom they learn it..."
Semi-Weekly Standard of Raleigh, North Carolina on March 18, 1857. Note that this 1857 article (while far from politically correct for today's readers) classifies profane language alongside "Drunkenness, Gaming, and Fornication". That's serious. If epidemic in proportions, what could possibly be done to extinguish the pernicious evil? More than a simple matter of good etiquette, Victorians expected proper behavior in public to include clean language. Cities large and small passed ordinances that made public vulgarity a misdemeanor. Oakland Tribune of Oakland, California on April 23, 1890. Despite the ordinances, and the wishes of "gentlemen" to be well-respected by others, public profanity remained an issue across the country. Altoona Tribune of Altoona, Pennsylvania on October 10, 1899. Many Victorian-American newspapers describe situations where men (and sometimes women) were charged with profane or vulgar language. When found guilty, individuals sometimes served jail time and fines ranged from $1.00 to $5.00, and in some instances (a politician), $100.00. The Montgomery Advertiser of Montgomery, Alabama on January 9, 1894. Threats of fines and jail time did little to dissuade those with a penchant for language. Salina Daily Republican-Journal of Salina, Kansas on June 18, 1897. Public parks were patrolled by policemen. I've written other blog posts, such as Courting in Public Parks, that illustrate how vigilant most policemen were in ensuring people didn't break the law or disturb the peaceable. The San Francisco Call of San Francisco, CA on March 5, 1898, part 1 of 3. The San Francisco Call of San Francisco, CA on March 5, 1898, Part 2 of 3. One newspaper columnist (note the lack of attributing writers' names in the era) claimed that the crack-down in public only caused an increase of foul language in private. Wyandotte Gazette of Kansas City, Kansas on September 17, 1875. Altoona Tribune of Altoona, PA on October 10, 1899. Part 1 of 5. Altoona Tribune of Altoona, PA on October 10, 1899. Part 2 of 5. Altoona Tribune of Altoona, PA on October 10, 1899. Part 3 of 5. Altoona Tribune of Altoona, PA on October 10, 1899. Part 4 of 5. Altoona Tribune of Altoona, PA on October 10, 1899. Part 5 of 5. Kansas City Journal of Kansas City, Missouri on March 2, 1898. Baseball, the All-American Sport, was well-established by 1898. The determination by the National Baseball League to ensure the game remained family-friendly and culturally enjoyable by all, led them to adopt, by unanimous vote, the "suppression of rowdyism and vulgarity at ball games" [sic]. The purpose was well-intended: "...to the end that the game may retain its high position as respectable and worthy of the confidence and support of the refined and cultured classes of American citizenship." The "Heroic Method" went so far as to fire ball players who broke the rules...after a fair hearing. The "Tribunal of Three" took such accusations most seriously. The Public Ledger of Maysville, Kentucky on March 2, 1898, part 1 of 2. The Public Ledger of Maysville, Kentucky on March 2, 1898, part 2 of 2. Today's students hear the entire spectrum of language in schools, popular music, online, gaming, and among peers in every setting. Today, we'd laugh an ordinance to prevent profane and vulgar language out of court. That might be the difference between our Victorian ancestors and us. They said no. They raised the expectations and fought against the habit and behavior. Many twenty-first century parents and individuals expect better from themselves and their children (or youth in general). I sat in a business meeting once, years ago, where a woman asked the company owner to refrain from obscenities while she was present. I'm not sure I'd have the guts. I do have the guts to revise my currently published books (now that I better understand the true-to-history Victorian viewpoint about cursing, even mildly) to remove what I've hitherto seen as very mild language. 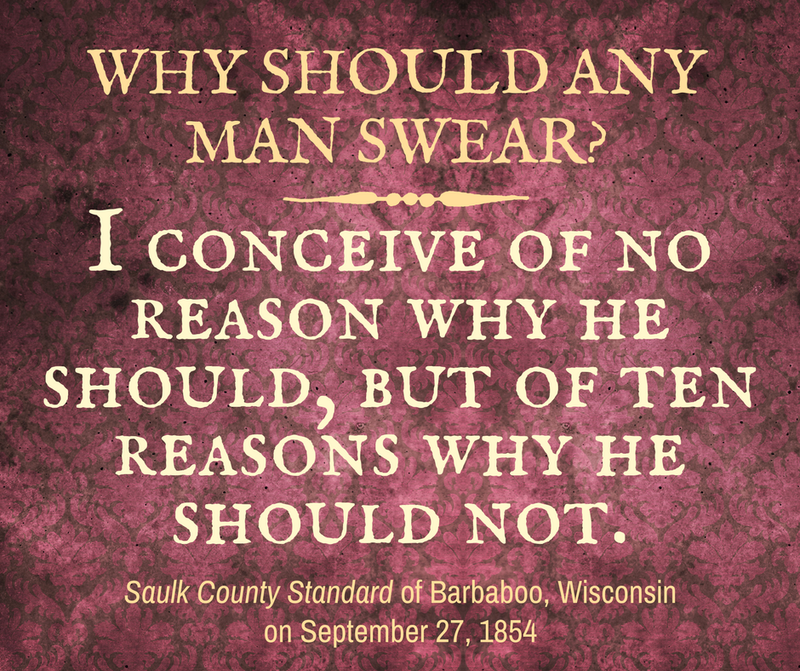 Ultimately, my 19th century characters wouldn't have let the mildest of vulgarity into their speech (or thoughts). Their mothers taught them better. They're good men, honorable, and determined to treat the women in their lives (mother, sister, aunties, sisters-in-law, and sweethearts) with utmost respect. My first full-length novel, The Menace Takes a Bride, will see the greatest revision. Garth Wakefield has a heart of gold--with every right to be furious at his father, Luke (the villain). I allowed Garth's fury to show in his language. I've learned my lesson. The September 2017 version, complete with a brand new cover, will be 100% free of questionable language. Watch for this spiffy update, inside and out, to be available on my website and Amazon in September 2017. My mother will be so proud. True story: Mother insisted, "Ladies don't talk that way" (anytime my language was questionable.) And she meant it. 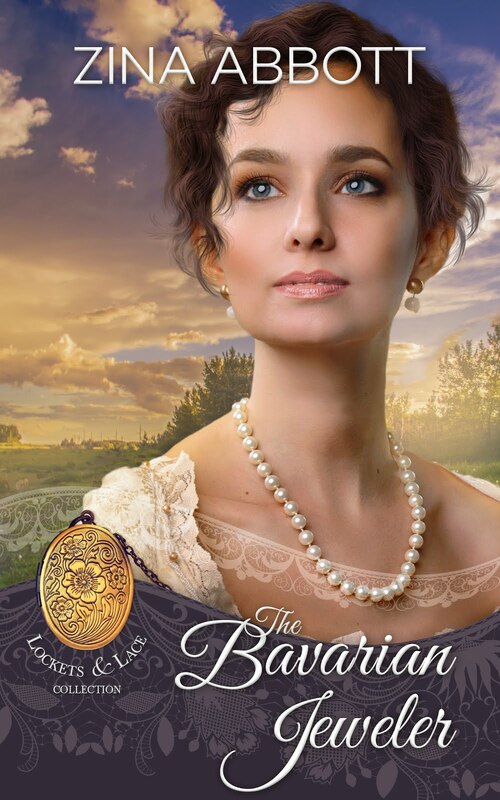 Returning to where we began, with "language" in fiction (particularly Sweet Western Historical Romance), we know most fans of this niche within historical romance choose it for many reasons, including the absence of offensive (to them) language. Authors work hard to eliminate dialogue and narrative that selective readers will likely find offensive, as an author's livelihood depends upon gaining readers who want to buy their next book, as well as finish the one they're currently reading. Are you surprised to learn that "foul language" was frowned upon so much in Victorian America (beyond the rote, "Excuse me, ma'am.")? Please scroll down and reply. I'd sincerely like to have a discussion about cursing, 'language', swearing, profanity, vulgarity--or the absence thereof--in the books you love to read. You're invited to visit my website, particularly About Kristin for links to my various hangouts on the web. Find lots more about my books on my Books page. This is interesting and shows us there has never been a time in human history where all was perfect. 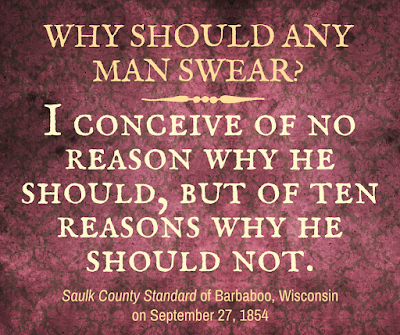 Cursing was a real problem that they tried in vain to eliminate. The moral fiber strengthened leads to finer speech. Trying to suppress it in any other way is doomed to failure. It's common to romanticize the past. Whether "the good ol' days" were seen as the 1950s or the days of Western Expansion, the eras seen as "sunshine and roses" definitely were not--at least not 'mostly'. Thank you for contributing to the conversation! I'm delighted you've joined the Sweet Americana Sweethearts team. It's a pleasure to have you with us. Welcome to the family! This one is tricky, but you are correct in making the story fit the times and language of the area. The clippings were invaluable. I find language helps define the character and knowledge about the time and region are so helpful. Thank you, Doris! I'm so glad you stopped by, read (or skimmed) the articles, and weighed in. I'm impressed with your knowledge of history. Thanks! Honestly, in this modern world, people seem to feel more and more free to use vulgar language. I find it disgusting. They don't consider other people around them who might be offended by such language, they just blast out with f-bombs and taking the Lord's name in vain whenever and wherever they want. It is a free America, but somewhere in there should be a set of rules about manners and decorum. I remember once years ago I was looking for movies with my preschool age niece and this man was talking on the phone in a loud voice using the most despicable vulgar language right there in front of a child. When I write, I let my male characters do a bit of cussing now and again, but I'm not in favor of really nasty language to read or to write. Maybe it's just the culture of southerners. I don't know. When I think of cowboys, especially historically, I think rough but wholesome guys with respect for children and women who wouldn't intentionally cuss in front of them. Just imagine how many men--and women, too who would be sitting in jail right now if there was still a law against vulgar language. So, this was a very interesting blog and I like seeing the different perspectives presented by you and the other commenters. 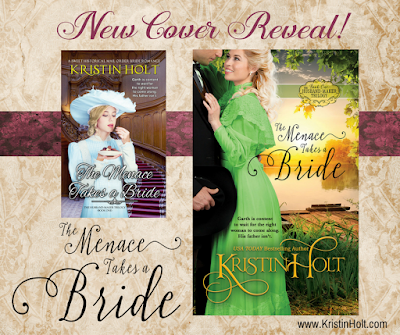 I want to wish you all the best with your re-release of THE MENACE TAKES A BRIDE. My wholehearted thanks, Sarah. I appreciate your viewpoints, your perspectives, your opinions, and your preferences. My thanks for your valuable contribution to the conversation! Give me the romance rather than the reality!! Enjoyed the post and love the new look of your first book! Thanks! I love a good story--the best of any given era. Whether romanticized or accurate, I love the qualities in an honorable man (and woman)...including respecting the comfort and feelings of others (such as not cursing in front of children or women. I love the new book cover, too! I have always believed that profanity (especially just for the sake of it) communicates emotion devoid of any information on which to base a meaningful response. It’s not real communication. I would think that talented writers would hang their reputations on the ability to magnificently describe the thoughts and feelings of the characters rather than let a vulgar phrase do their work for them. I doubt most writers would flesh out the underlying demeaning and hateful specifics of most profanity and call it great writing. You're right. It's tough to convey emotion without saying, "He was angry." (No sense talking passive verbs...the label of emotion is enough.) Illustrating, in Deep POV, the physical and emotional responses and the thought process in the narrative takes skill, practice, and focus. When I find an author who seems to effortlessly SHOW me Deep POV with all of these elements, I become an instant fan. And student. And follower. Stagecoaches, Could You Travel in One?